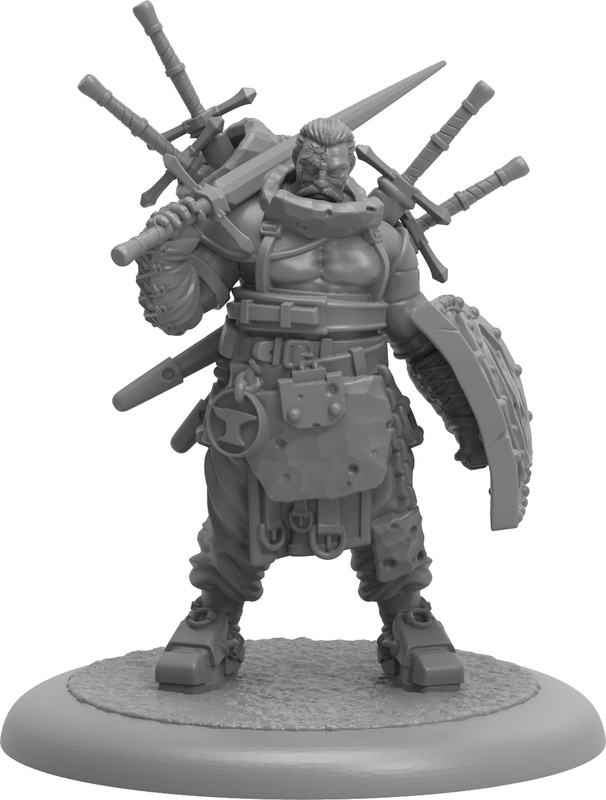 The Blacksmith's Guild is looking to reshape the world of Guild Ball like a smith reshapes metal. Their Master/Apprentice dynamic gives you a team with no mascot and no official captain (you pick who is in charge at the start of the game). So there's a lot of anticipation on what these players are going to look like. In this case, we get a look at Furnace, a new master that, as you would expect, is going to heat things up out on the pitch. Here at Steamforged it’s been fantastic watching the forum & social media reactions to our articles on the first of the Blacksmiths Guild to be revealed, Anvil & Sledge, as well as our article on Blacksmith Guild team construction. If you missed those articles you can find them HERE. 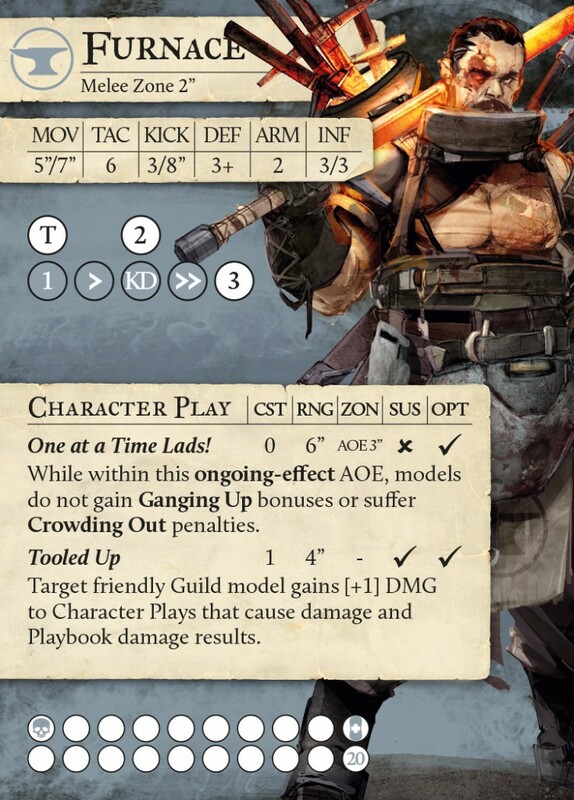 Today though, we think it’s time to start showing you some more of the Blacksmiths Guild Ball team. When we revealed Anvil & Sledge we did so with redacted cards to tease you about what abilities they could have. While it was incredible fun for us watching you try to guess what abilities could be behind those shaded boxes, we decided we wouldn’t be quite so mean this time. 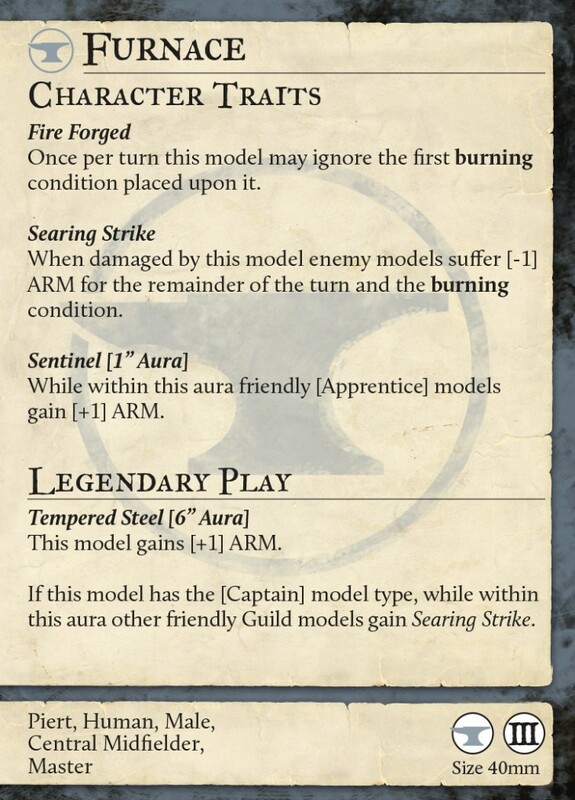 Today you get to see the full player card for the Master Blacksmith Furnace.